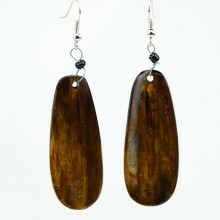 These handmade cow Horn Earrings are from Kenya. 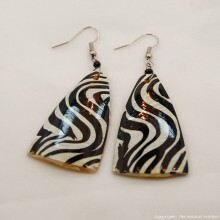 Cow horn, which would otherwise be waste, was upcycled to use as the base. 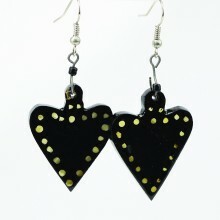 It was all done by hand--from cutting the pieces, carving them into a heart shape, smoothing and then polishing with dye. 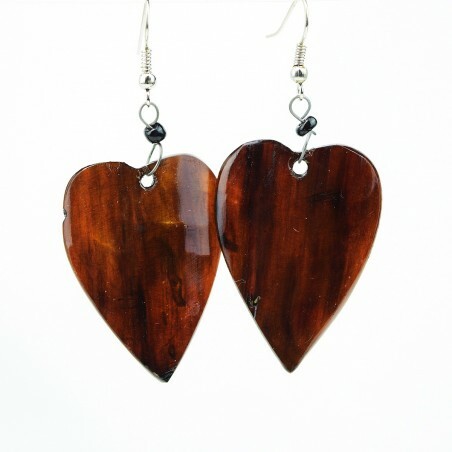 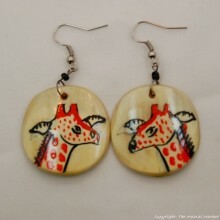 Because they are handmade, each pair is unique and will look slightly different from the Kenya Cow horn earrings shown in the pictures. 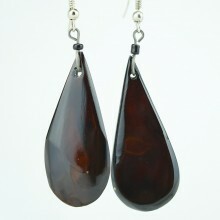 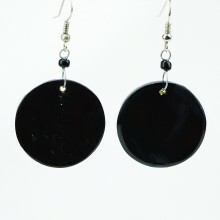 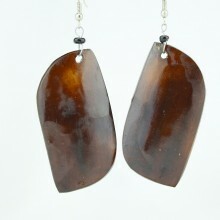 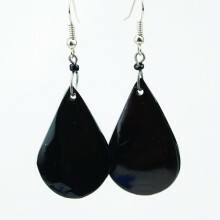 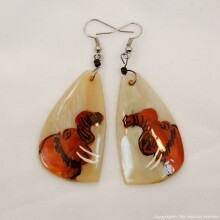 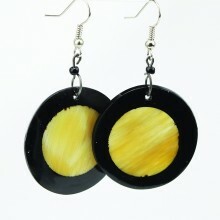 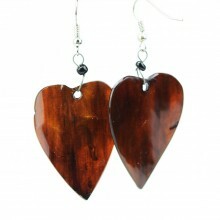 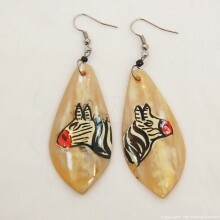 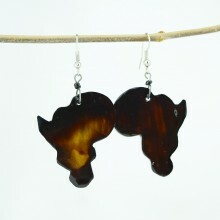 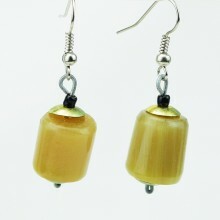 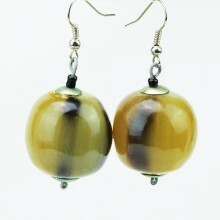 Check out our other African Cow Horn Jewelry.